Last week, arts organization BRIC announced a June 26 screening of the seminal 1990 documentary Paris Is Burning as part of its Celebrate Brooklyn! program. Invited to help present the screening was the movie’s director, Jennie Livingston, musician/artist JD Samson, who was to perform a DJ set, and exactly zero queer people of color or members of the ballroom community. 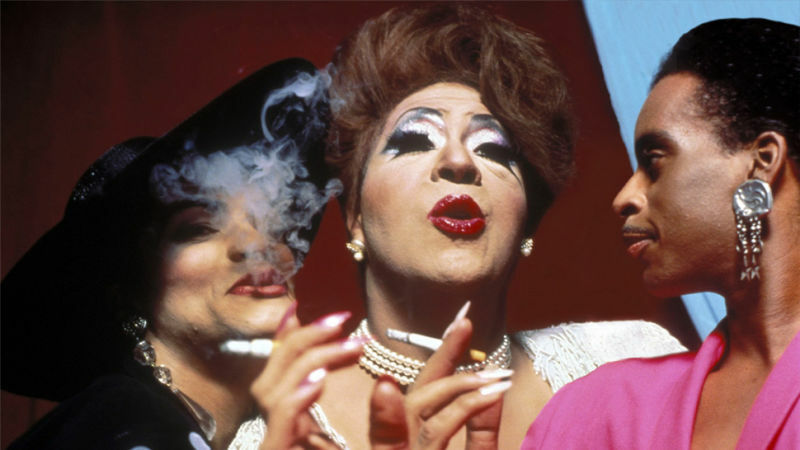 That community of mostly black and Latin gay men and trans women who compete in pageant-like balls while voguing and wearing all kinds of drag provided the basis of Livingston’s doc and thrives today. It would have been extremely easy to reach out—I attended a PIB screening in November at a very tiny film festival (we watched it in a church!) and Milton Ninja (of the Legendary House of Ninja) spoke after the movie. These people are around and they’re still eager to share their experiences. BRIC’s omission sparked an intense debate on the event’s Facebook page. There were those who felt the omission of queer people of color from the panel only added insult to injury for screening a movie made by a white woman who had no business documenting a community to which she didn’t belong. A particularly vocal contributor, Imani Henry, seems to have started* a change.org petition titled Cancel Celebrate Brooklyn/BRIC’s screening of Paris is Burning & End the Exploitation of the Ballroom Community and TQPOC! #ParisIsBurnt #‎SHUTITDOWN‬. As of the writing of this post, it is just a few signatures away from reaching its target of 1,000. From the time of its debut, Paris Is Burning has inspired debates about exploitation, appropriation, and who gets to tell what stories. That these debates rage on 25 years later is a sign of this movie’s vitality. You may love it (as I do), you may loathe it, but you cannot deny its power. That movie inspires passion unlike most others. It continues to reverberate through culture via things like RuPaul’s Drag Race and discussions of shade-throwing (here’s one in the New York Times Magazine that went up today). Paris Is Burning is as relevant as ever. Few documentaries have had such a cultural pull. - Use the platform that you’ve gained through our stories to speak out against the atrocities that are killing us daily. Violence against trans women of color specifically, like the still unsolved murder of Venus Xtravaganza, is still rampant. Share your limelight with people and organizations doing work that benefits the communities in the film. - Pay retribution to the survivors and communities of the people you exploited in Paris is Burning with all future proceeds. I’d argue, in fact, that Paris Is Burning benefitted from the outsider’s guiding hand. The film is structured around drag ball vocabulary, which appears in onscreen title cards, is defined by its subjects, and then exemplified by the action. It’s an ingeniously simple approach that makes the depicted world accessible and the movie compulsively watchable. When Jennie first came, we were at a ball, in our fantasy, and she threw papers at us. We didn’t read them, because we wanted the attention. We loved being filmed. Later, when she did the interviews, she gave us a couple hundred dollars. But she told us that when the film came out we would be all right. There would be more coming. And that made me think I would have enough money for a car and a nice apartment and for my kids’ education. The $5,000 I got was hush money. We didn’t have no choice but to take it. And $1,500 went to my lawyer for doing nothing...But at least it brought me international fame. I do love that. Walking down the street, people stop me all the time. Which was one of my dreams doing the drags in the first place. Sometimes I get the feeling that people wish Livingston never bothered, but then we wouldn’t have this lively document of this specific time and place. You can look at that as a vehicle Livingston used for fame, or you can look at Paris Is Burning as something Livingston used her time to give to the world. Given the way the film’s profile dwarfs Livingston’s own, culture has already spoken on this question. We have now done what we should have done when we initially planned the event: reached out to QTPOC organizations and individuals, and members of the ballroom community, to gain their insights and hear their ideas for the program. We apologize for not having done so earlier. After this consultation, the revised line-up, which we hope to finalize in the next few days, will include artists and programming from the QTPOC and ballroom communities. The truth shall always prevail! Pars is Burning is a documentary film about the Gay Ballroom community within Harlem. 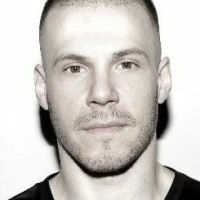 The subculture underneath and underground of theGay culture! It documents, explains and simplifies the freedom of expression and the right to be through the voices of participants, viewers and onlookers. The film allows diversity to be exposed and explored! What I love about my segment of the film is that I enlightened the world to understand sexual orientation is whom you go to bed with whereas gender is whom you go to bed As! Secondly, in closing I never was shady just always FIERCE! In closing Paris Is Burning is still causing Controversy Wow! That means it is still relevant!!! I am still looking forward to celebrate Brooklyn!